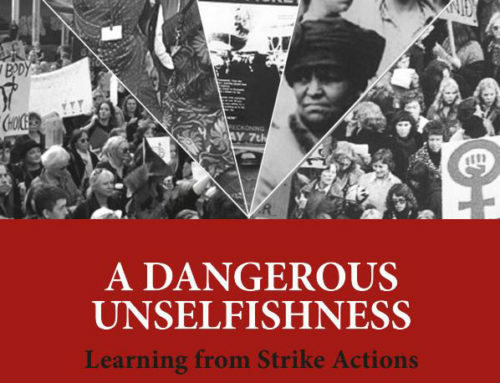 After 30 years of neoliberal globalisation, it has been increasingly acknowledged that austerity, privatisation, deregulation of finance, markets and corporations, and trade and investment liberalisation have had a devastating and discriminatory impact on women. 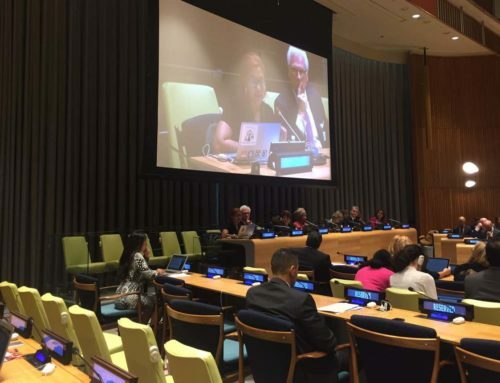 UN experts, treaty bodies and international NGOs have heard the persistent critiques of civil society groups and recognised that neoliberalism has a discriminatory and adverse impact on women. In a remarkable turnaround, even the International Monetary Fund is now conscious of the evidence that neoliberal policies are driving inequalities. It is now clear that neoliberalism is sexist and is simply incapable of supporting gender-equitable and just sustainable development. Neoliberal globalisation has led to levels of inequality that have not been seen for more than 200 years. Eight men hold more wealth than half of all humanity; one percent of the world’s population owns more than the other 99 percent; 69 of the largest 100 economies in the world are corporations, and 10 of these corporations are richer than 180 countries combined. This level of inequality has been recognised as a threat to social cohesion, peace and democracy. Governments have made repeated commitments to address the adverse impacts of neoliberalism. Through the 2030 Agenda and the Sustainable Development Goals, governments have promised to reduce inequalities within and between countries (Goal 10), advance gender equality (Goal 5), eliminate poverty (Goal 1) and end hunger and achieve food security and sustainable agriculture (Goal 2), as well as prevent catastrophic climate change. Globally, there are more than 3000 bilateral or multilateral agreements that govern global trade and investment. Recent large multilateral agreements, such as the Regional Comprehensive Economic Partnership (RCEP) and the Trans-Pacific Partnership Agreement (TPP), have sought to expand the scope of agreements to provide for global governance over an increasing number of economic issues outside of the UN and World Trade Organization (WTO) systems. The agreements, designed primarily to enable unhindered flow of global capital, are a significant barrier to the realisation of the human rights of women. Advocates argue that trade agreements are designed to reduce barriers to trade and ‘level the playing field’ by ensuring foreign investors are not negatively impacted by national laws or regulations that preference locals or that impact on foreign investors. In reality, trade agreements are designed for and by large multinational corporations who are able to displace smaller, local businesses and who use their political power to gain significant advantages. The Regional Comprehensive Economic Partnership agreement (RCEP) – which covers China, India, ASEAN member countries, Japan, South Korea, Australia and New Zealand will impact on a larger number of people than any previously proposed trade agreement. RCEP covers traditional trade issues including trade in goods, services and agriculture, customs, tariffs and trade subsidies – but this represents only a small portion of the agreement. The agreement goes far beyond trade, and seeks to impose an entire regulatory framework on member states that could dictate the extent to which governments can regulate every part of the economy in which the private sector operates. The chapters extend to intellectual property, standards and labelling, telecommunications, competition policies, financial services, e-commerce governance and more recently, government procurement. The RCEP has implications for women throughout the region in addition to those in the member countries. It potentially represents a large shift in positions taken on trade by India and China within the WTO. India has been the most vocal Asian country defending countries rights to provide food subsidies and retain public stock-holdings as well as to produce the world’s generic medicines. In addition, the RCEP represents a significant step toward the planned Free Trade Area of Asia Pacific (FTAAP). The RCEP will serve as the basis for such an agreement, significantly disadvantaging the Least Developed Countries (LDCs) and Small Island Developing countries who are not currently part of the negotiations. While the text of the RCEP has not yet been released, chapters that have been leaked online reveal that some negotiating countries seek to mirror, and even deepen, the chapters agreed in the TPP. Drawing from the leaks and the experience of previous agreements and proposed chapters, we can be concerned that it may have the following consequences for women. Researchers who have analysed the economic impact of existing preferential trade agreements (PTAs), have found that there “is a marked increase in the concentration of economic activity within countries following the formation of PTAs”, which results in the deepening of economic inequality. The reduction in tariffs denies governments an important source of revenue, as well as depriving them of an instrument capable of balancing the advantages foreign multinational producers have over developing countries. Tax revenue in the Asia Pacific region represents a low 17.6% of GDP, and any reduction in revenue will either have to be replaced by regressive taxes, such as Goods and Services or Value Added Taxes which have been found to have discriminatory effects, or reduced public services. Tariffs can make up an important percentage of income, particularly in economies with underdeveloped tax systems and where tax incentives are used to drive foreign direct investment. Reduced public expenditure impacts most heavily on the poor and particularly poorer women. Funding cuts generally focus on reductions in subsidies, public wages and social protection payments. Each of these has a disproportionately negative impact on women and children as women are more likely to claim social welfare payments, use public services and be employed by the public sector. The costs of an ISDS case can have an enormous impact on public expenditure in developing countries. To date, the majority of cases heard by ISDS tribunals have been against developing countries and lodged by multi-national corporations from developed countries. The awards have amounted to hundreds of millions, and even billions, of US dollars. For example, USD 2.4 billion was awarded against Ecuador in a case brought against it by an oil company ordered to clean up its toxic waste. The award represents more than 6% of the small nation’s national budget – more than its health budget. Argentina has faced 53 claims totaling $80 billion dollars after it introduced regulations to address a financial crisis that was pushing many people into poverty. The Philippines is reported to have spent USD 58 million in legal costs to defend two cases; this money could have paid the annual salaries of 12,500 teachers. While not all cases are made public, given the secretive nature of ISDS, we know that in at least 50 ISDS cases, claims of at least 31 billion USD have been lodged against states negotiating the RCEP. The RCEP will expose them to even more cases. Countries have also been denied access to tax revenue, with at least 24 countries being sued using the ISDS mechanism, by corporations challenging tax laws or attempts to collect tax. A central purpose of trade agreements is to open up agriculture and land to foreign investment. Many countries restrict foreign investment in land and provide leases or concessions to investors on a case-by-case basis. It is likely that the RCEP, like other trade agreements, will incorporate a ‘national treatment’ provision which requires governments to provide foreign investors with the same rights and privileges as local investors. Consequently, unless governments provide a specific exemption in the agreement, land can be purchased by foreign corporations and individuals. Among the attractions of Asian countries to foreign investors is the apparent abundance of cheap land. In fact, approximately 19.2 million hectares of land in Asia have been acquired in deals involving foreign investors in the last decade. In the period following the financial crisis, speculative finance rushed to the security of land, resulting in a 334 percent increase in cross-border real-estate investments between the years 2008 and 2015, and investors intensified pressure on governments to enable foreign land investments. This makes small land holdings vulnerable, particularly where documentation of land tenure is not secured. Furthermore, the expansion of export-oriented crops has led to decreasing availability of land used for subsistence agriculture that is primarily tilled by women. Small-scale, subsistence farms of women are unable to compete with huge agro-business monopolies because of economies of scale and the benefits of large capital, coupled with pre-existing discrimination that means women are less likely to have access to inputs, credit, technology and information. Further, they are less likely to be able to fulfil the regulatory requirements that come with cross-border, digitalised trade. In addition, the removal of tariffs on imports means that subsidised food can flood a local market and displace women’s produce. The North American Free Trade Agreement (NAFTA) was associated with two million farmers losing their land, resulting in high levels of internal and external migration. 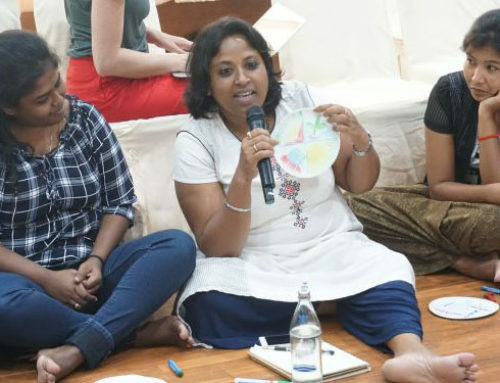 For women, this meant migrating into dangerous special economic zones where labour exploitation and violence against women has been well documented, or across borders to become migrant domestic workers. While foreign investment has led to large areas of arable land being developed for the production of food crops, far from enhancing the food security of local communities, investment in the agricultural sector has frequently been for the purpose of developing export industries that largely benefit large corporations. The expansion of commercial agriculture also leads to the depletion of communal land and resources, which women frequently rely on for the collection of fuel, water, and fodder for medicinal purposes. Further, these large-scale projects are often undertaken without sufficient consultation of women in local communities and without their free, prior and informed consent. Forced evictions and reductions of land and forest cause shifts in labour and migration patterns. Women leave their homes and work as labourers in factories or plantations, or as domestic workers with sub-standard labour conditions. Militarization of land concessions, which allows intimidation and violence by armed security guards (including private, state police and military), has also threatened the security of women human rights defenders involved in land disputes. For generations women have saved seeds, shared them and developed a wealth of information around plant varieties and uses. This practice enables sustainability and bio-diversity, and reduces costs. For rural women in the Global South, 80 percent of the total seed supply is produced on farm. The popularity of cash crops and high yields means farmers are increasingly dependent on commercial seeds. They now face penalties, including criminal penalties, for practicing seed saving and sharing methods. RCEP and other trade agreements currently being negotiated include intellectual property protections that go well beyond the requirements of the WTO agreement on Trade-Related Aspects of Intellectual Property Rights (TRIPS). If the TPP provisions are replicated in the RCEP, states will be required to sign UPOV91 (International Convention for the Protection of New Varieties of Plants). The convention provides intellectual property protection for seeds and plants, which generally prohibits farmers from saving and sharing protected seeds, including seeds that they had been freely using prior to the protection being granted. UPOV 91 allows agrifood companies to utilise both the plant breeder rights restrictions and patent protection. Effectively, it means that farmers must purchase new seeds every year. While an exemption exists for small land-holders who grow subsistence crops, the exemption applies only to land-owners. The vast majority of women farmers are not land-owners. Consequently, the provision exacerbates existing discrimination that precludes women from land ownership. Currently developed countries within the RCEP; Australia, Japan, South Korea and Singapore are signatories to UPOV91, while Vietnam is the only ‘developing’ country to have signed on to the convention within the RCEP. However, after years of pressure from both multinational seed corporations and developed countries seeking to impose the convention through trade agreements, Thailand has also recently drafted laws to comply with UPOV91. The draft law makes seed saving and sharing subject to criminal sanctions which can include imprisonment or a fine, or both. Women farmers are faced with the choice of risking prison or going into debt annually to buy seeds that, if crops fail, could send them bankrupt. Trade agreements seek to harmonize intellectual property rights awarded to corporations and remove hard fought TRIPS provisions designed to give developing countries flexibilities in the implementation of intellectual property rules. The intellectual property provisions in the TPP, if replicated in the RCEP, would have a profound impact on women’s rights. The provisions within the TPP extend the period of protection for medicines and protections for small variations, and provide additional periods for testing and licensing. Women’s health outcomes are threatened by trade agreements that enable privatisation of health services and reduce access to generic and subsidised medicines. Trade agreements increasingly include service chapters which require state services to be opened to foreign investment if any part of the industry is currently provided by the private sector. Women’s access to affordable medicines is, particularly by the inclusion of the two largest providers of generic medicines, India and China, in the RCEP. Monopoly protections awarded to pharmaceutical companies will significantly increase the costs of medicines, which will particularly impact on the poorest. One study found that the TPP will drastically reduce the percentage of HIV-positive Vietnamese with access to antiretroviral therapy, from 68 percent to 30 percent. In Malaysia, the price of the breast cancer drug Herceptin could go from USD 2,600 to USD 44,000. Evidence suggests that when health care is privatised or becomes more costly, rural and low-income families are less likely to spend on women’s reproductive healthcare. Intellectual property rights have been awarded for traditional plants and medicines used by rural and indigenous women for generations but ‘discovered’ by foreign corporations (or foreign corporations who have purchased the rights from researchers). For example, women in Northern Thailand have used a traditional root, pueraria mirifica, for various hormonal problems, including those related to menstruation, menopause and fertility and, consequently, have some of the lowest breast cancer rates in the world. They often sell the product at local markets. In 2004, the US was awarded a patent for the plant, including for simply drying or pulverising it. The liberalisation of trade in services is a key provision of the RCEP. The purposes of the trade in services chapter and related provisions are two-fold: to increasingly privatise services such as water, energy, health and education, and to remove the regulations on those services that might relate to costs, licensing requirements, environmental impacts, health standards, competencies of the provider, accessibility and technical standards. The RCEP may replicate, or even go further than, the trade in services chapter and domestic regulation disciplines contained in the TPP. The chapter goes beyond the WTO’s General Agreement on Goods and Services (GATS), in that the GATS listed services to be liberalised, while recent chapters drawn from the TPP cover all services unless specifically excluded. In addition, the WTO allows for domestic regulation that is in the public interest, whilst trade agreements restrict this to regulations that are “objective”, “transparent” and “not more burdensome than necessary”. A regulation which requires water to be provided to poorer or rural communities, or sets pricing rules, may be deemed ‘burdensome’ or not ‘objective’. Meanwhile, the ‘ratchet’ provisions of trade agreements also prevent governments from introducing new regulations, or deciding to create publicly owned services in areas that have private investors operating. The principle that investors must receive “fair and equitable” treatment is the most used principle in investors’ successful claims against states. The principle is used to protect investors’ “legitimate expectations,” which includes an expectation that regulations won’t alter (even following a democratic electoral change) and that states will utilize state power to protect investor profits. When governments seek to reverse privatization, or re-municipalise essential services, in order to meet their human rights obligations, they are exposed to the risks of ISDS cases, as has occurred in Argentina and Mexico. The privatisation of public goods and services has had discriminatory effects, because women are users of those services, because quality public services are able to reduce the impacts of discrimination, and because when governments abdicate their responsibilities to provide health, education, water, energy, social services and care, women are generally expected to provide the cushion that will sustain lives and economies in their absence. The term “measures” encompasses a wide variety of legislative, executive, administrative and other regulatory instruments, policies and practices, such as outreach or support programmes; allocation and/or reallocation of resources; preferential treatment; targeted recruitment, hiring and promotion; numerical goals connected with time frames; and quota systems. Governments use a range of policy techniques to advance rural women’s access to land tenure and markets, and to support their local production. As the government is the largest buyer in most markets, pro-women procurement can benefit rural women’s livelihoods and help to retain their local industries. However, the inclusion of government procurement chapters means that all government procurement, apart from defence or other identified industries, must treat foreign investors equally and governments are therefore prevented from preferencing local industries. Recently, the Indian Government reportedly expressed concerns about the proposed government procurement chapter in the RCEP, precisely because of the impact it could have on their capacity to procure from marginalised women and other groups. Similarly, a number of governments have introduced lower land taxes or registration fees when women are registered as land holders or co-owners. The ‘National Treatment’ provisions could prohibit such incentives unless they are also extended to foreign investors. Affirmative action may also be subject to costly ISDS suits, should it be seen to reduce the profits of foreign investors. South Africa, for example, was sued by a group of Italian companies who argued that provisions in the Mineral and Petroleum Resources Development Act, which required 50% of mining shares to be sold to Black South Africans as part of the Black Economic Empowerment legislation, were illegal under the Italy-South Africa and Benelux-South Africa bilateral investment treaties. The South-African Constitutional Court had previously ruled that the compensation provided to the investors was adequate and did not amount to expropriation, and yet the threat of the suit being held in the World Bank’s secretive International Center for the Settlement of Investment Disputes (ICSID) forced the government to negotiate a settlement and reduce the quota to 26%. South Africa has since decided to cancel all bilateral investment treaties containing ISDS mechanisms. Any attempt to remedy existing levels of exclusion for women using affirmative action tools could similarly be subject to a lawsuit. ISDS has been commonly used to challenge decisions made by governments, in relation to the licensing and regulation of extractive industries. Women have been at the forefront of movements to prohibit extractive industries in their communities and movements to seek remedies and clean-up of their environments, and are detrimentally impacted when investor protections are elevated above their human rights. Similarly, corporations responsible for the provision of water and energy have been able to sue governments when their licences have been revoked for non-compliance. This includes failure to provide services to rural communities, who are not a profitable target group for corporations. Subsequently, trade agreements limit the capacity of governments to ensure rural women are provided with essential resources, goods and services. The UN Independent Expert on the Promotion of a Democratic and Equitable International Order suggests that “far from contributing to human rights and development, ISDS has compromised the State’s regulatory functions and resulted in growing inequality among States and within them”. Preferential trade agreements are designed to facilitate greater market competition and the freer flow of global capital, enabling increased access to resources and cheap labour in signatory countries. Investors are attracted to the comparative advantage of cheap, un-unionised and unregulated labour provided by countries like Cambodia, Myanmar, Vietnam. Consequently, preferential trade agreements push down wages in an attempt to compete in a race to the bottom for cheaper exports across the region, not just in signatory countries. If other countries wish to continue to attract investment, they need to reduce costs. Export industries often have little cost margin meaning , wages, and conditions, are targeted. NAFTA provides a good example of the likely consequences of preferential trade agreements that include countries at different stages of development. While labour productivity grew after signing the agreement and exports increased, wage compensation in Mexico declined by 20 percent between 1994 and 2011. As women comprise an increasing percentage of workers in export industries, they are most likely to experience the downward pressure on wages, conditions and rights. The investor-state dispute regime has also been utilized to challenge increases in wages and conditions (for example, in the case of Veolia versus Egypt) and UN experts have noted that such cases have a ‘chilling effect’ on governments. As women make up the largest percentage of minimum and low-paid workers, they depend more on state wage setting mechanisms. The RCEP claims to be a “21st century” trade agreement, addressing modern trade issues. Yet the major 21st century threats to communities – climate change and vast and deepening inequalities – will be aggravated by the agreement. By limiting the power of governments to govern in the interests of the community and the environment, and cementing a regulatory framework designed to advance the interests of multi-national corporations and only the wealthiest people, trade and investment agreements deepen gender inequalities. 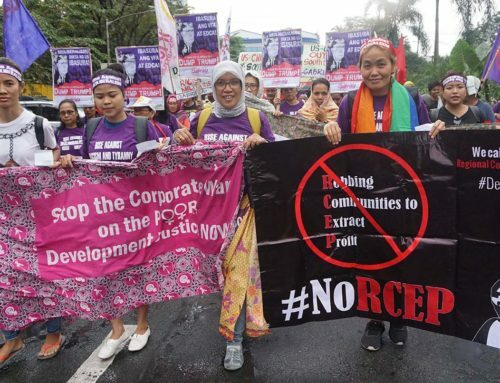 RCEP will be beneficial for very few people but will do particular harm to populations that are most excluded by capitalist economics – women, Indigenous peoples, migrants and those without capital or political power. 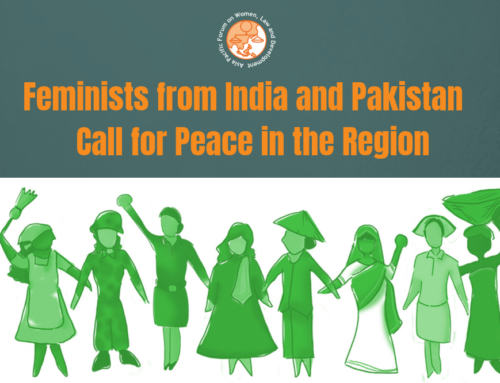 If states in the region are genuinely committed to meeting the human rights commitments they have made to women, they will not proceed with the RCEP and instead urgently implement economic policies designed to redistribute power, resources and wealth between men and women, and between rich and poor. Ostry, J., P. Loungani, and D. Furceri. (2016). ͞Neoliberalism: Oversold?͟ Finance and Development. June 2016. IMF. Oxfam (2017) An economy for the 99%, It’s time to build a human economy that benefits everyone, not just the privileged few, Oxfam Briefing Paper, January 2017. Barnett, Kathleen/ Grown, Caren: Gender Impacts of Government Revenue Collection: The Case of Taxation, Commonwealth Secretariat, London, 2004. Jane Korinek, Trade and Gender: Issues and Interactions, OECD Trade Policy Papers No. 24 (2005). Report of the Independent Expert on the effects of foreign debt and other related international financial obligations of States on the full enjoyment of all human rights, particularly economic, social, and cultural rights (2012) UN Doc. A/67/304 . van Wijk, Jeroen. 2004. Terminating Piracy or Legitimate Seed Saving? The Use of Copy-Protection Technology in Seeds, p21. Technology Analysis & Strategic Management 16 (1): 121–141. General recommendation No. 25, on article 4, paragraph 1, of the Convention on the Elimination of All Forms of Discrimination against Women, on temporary special measures, para 22. Harley Shaiken, The impact of international free-trade agreements on job growth and prosperity, Scholars Strategy Network, University of California, 2015. This article was written by Kate Lappin for Strategic Review. Please click this link to access it.